Fork modification for Shand Cycles. 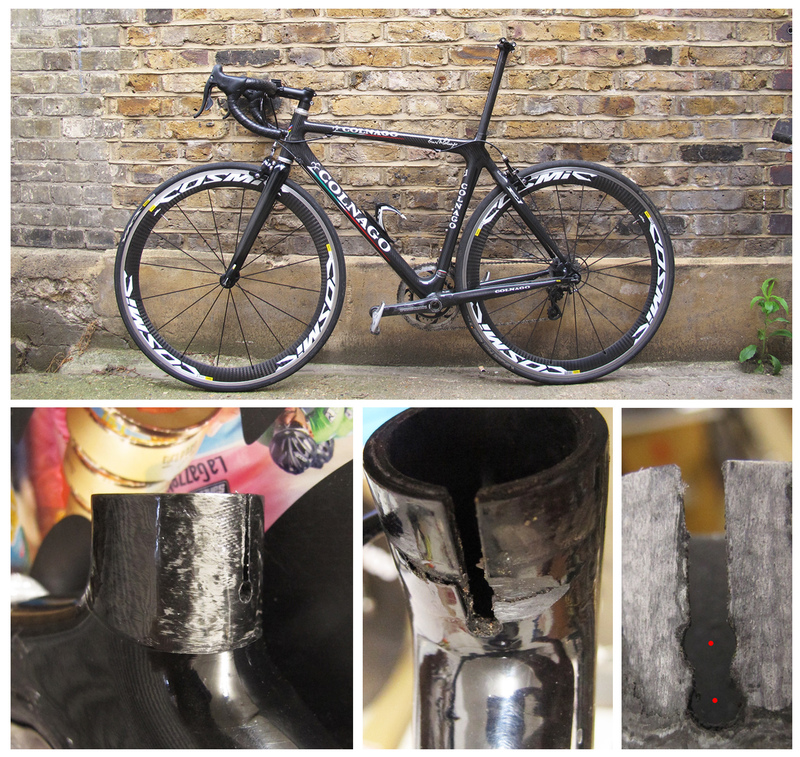 This Roubaix has landed onto our surgery desk after it has been butchered by a very creative mind who decided to cut down a top tube in order to steal it. 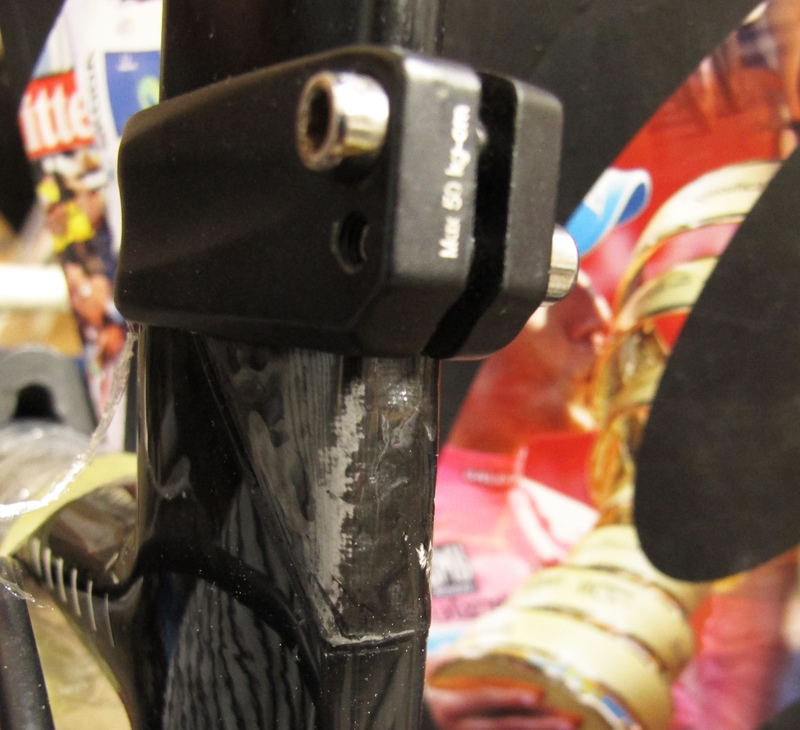 Because top tube has been cut entirely, frame has lost its alignment and because tension changed, frame geometry changed too, therefore frame has been re-jigged at Tsubasa Bicycles and brought back into its original state. 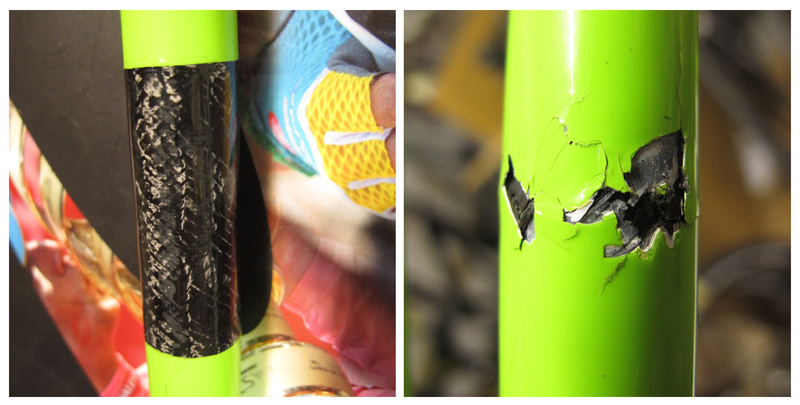 Christopher has been hit by a car while riding his De Rosa King. 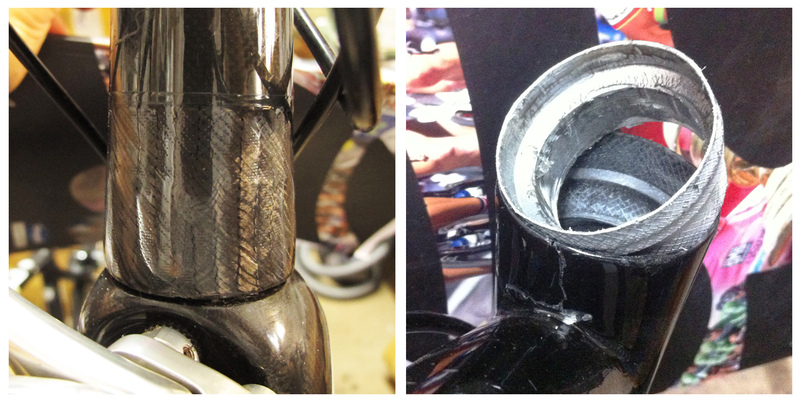 Crash resulted head tube beginning to disconnect from a down tube, bottom of a head tube split and bearing cups has de-bonded. 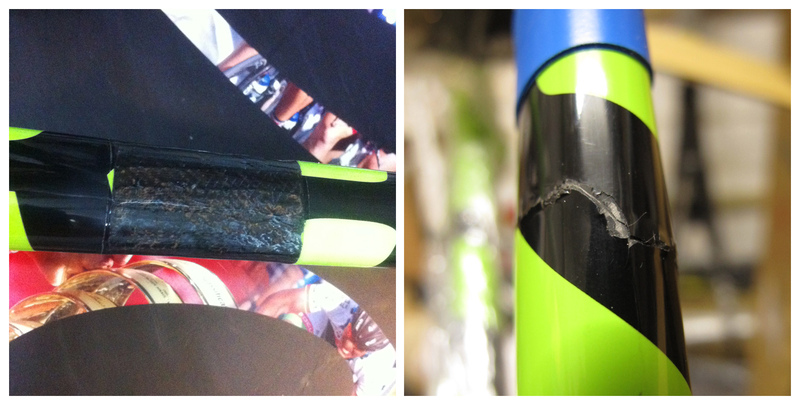 All of it has been put back into its place and Christopher is riding his De Rosa again. 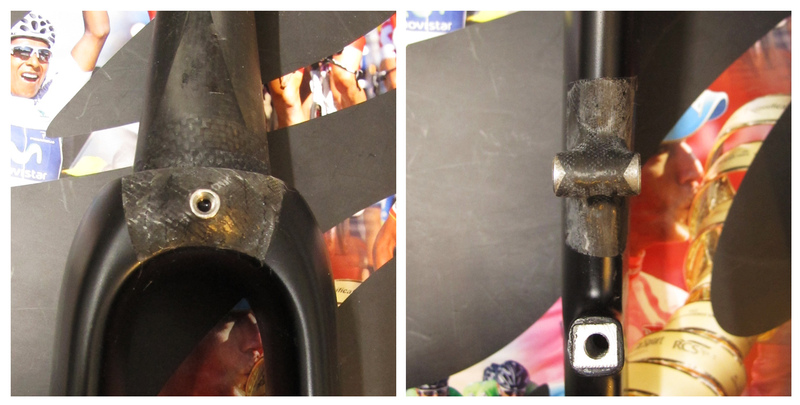 Often seat post clamps are over-tightened. Sometimes it is not tightened enough. 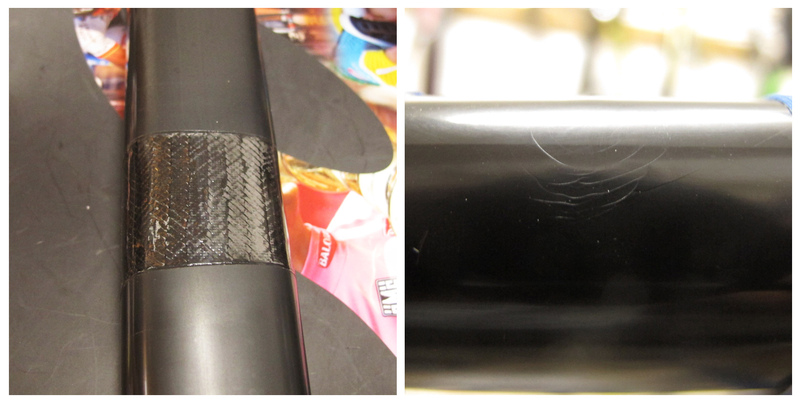 Once seated, seat post slid down wedging into the seat tube resulting it being structurally damaged. 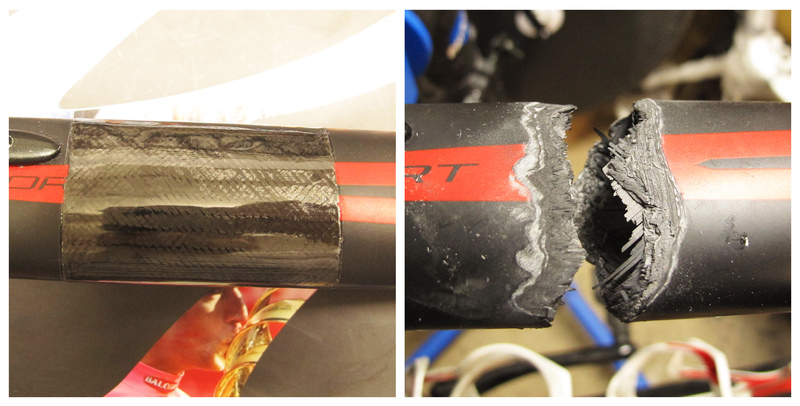 Corinne came to LCR as a collar of a seat tube had a crack/chip. First guess was – “probably, over-tightening”. Once we got rid of delaminated layers, we have realised that there is a manufacturing defect which with time caused damage to occur. Now it’s reinforced and Corinne is back to racing in Red Hook.